I would like to know, which Mutual Fund I should go after if m7y plan is for long term say >10 years. Should I go for dividend option in this case? My plan is to invest in SIP. Could you please guide me in choosing the right mutual fund for long term? 1. In my view dividend option is always good then growth option because when you receive dividends then it means partially profit booking of your portfolio and I think you knew that profit booking is not a bad thing in share market. 2. secondly I think it is good to go with market leader fund like HDFC TOP 200 but do not accept return more than 15 % in this case. 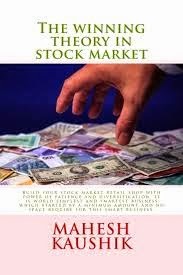 3. if you want some higher return like 35%+ then you may take some risk and make a SIP in INFRA BEES and book all portfolio on 35% return then shift your money in BANK BEES because I think in coming 2 year infra sector will perform in ascending order and baking sector down is descending order due to market cycle. 4. Point 3 is not sure it is based on past market performance of various sectors. 5. So make your own decision.